Multiple CNN pundits flew into a rage Wednesday because of a tweet posted by President Trump. The network claims that Trump’s words were a racist dog-whistle for his followers. “There is a Revolution going on in California. Soooo many Sanctuary areas want OUT of this ridiculous, crime infested & breeding concept. Jerry Brown is trying to back out of the National Guard at the Border, but the people of the State are not happy. Want Security & Safety NOW!” the president tweeted. Liberals are latching onto the word “breeding.” Talking heads like Don Lemon and Anderson Cooper tried to argue that the term is racist. 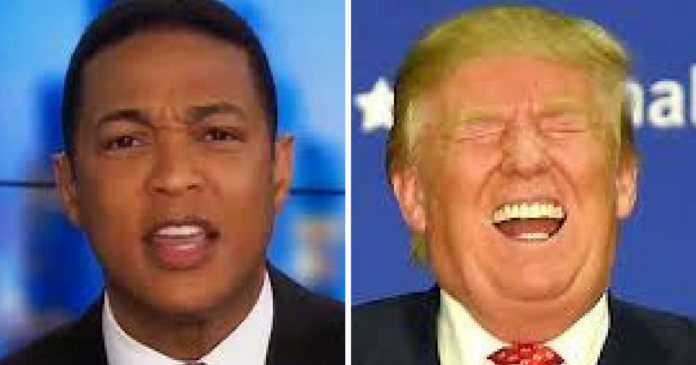 “‘Breeding.’ It’s a loaded term, to say the least,” Lemon said. The left is really pushing their “Trump is racist” narrative. They desperately want to discredit him. However, they continually launch attacks when Trump says something innocuous. The “breeding” that Trump referenced in his tweet was about crime. Sanctuary cities breed crime. “Taken literally,” complained Z. Byron Wolf, ‘the most likely explanation is that he’s talking about sanctuary cities as places where undocumented immigrants breed. If that’s right, there’s a racial undertone in the comment should slap you in the face. CNN threw a hissy fit Wednesday because of Trump’s comment. Anderson handled himself a little better than Lemon, who had a complete meltdown. Other network hosts took issue with Trump’s words as well. “This is not the first time in which President Trump has made racist remarks… Hate is contagious and if the President of the United States is making racist remarks, just imagine what his supporters might be saying in social media,” Univision anchor Jorge Ramos said.